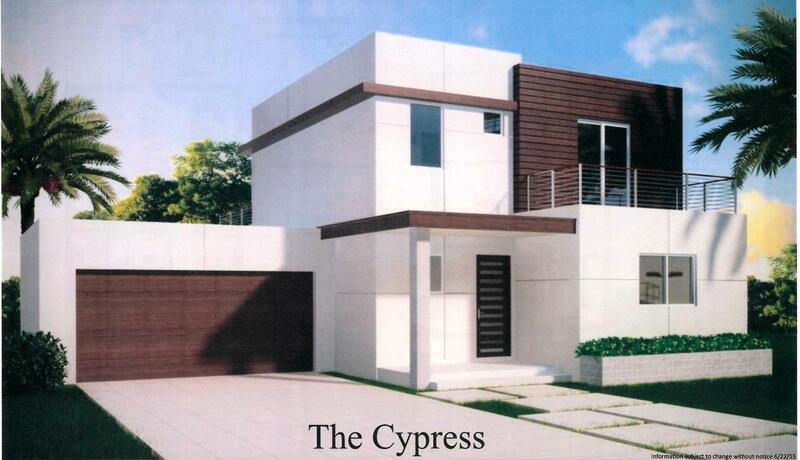 Just Finished Contemporary and modern new construction located in the downtown neighborhood of Gillespie Park in Sarasota. Enjoy Sarasota with a 10 minute walk from here to Main Street in Downtown area right next to Marina Jack! Right by Sarasota Military Academy, a great school, Gillespie Park features a playground, walking area, and tennis courts. Featuring 3 bedrooms, 1 Den/Office and 3.5 baths, laundry room, garage, and vinyl fencing all around the home. Totaling 2242 sqft under A/C, this home is spacious as well as stylish by all means! Zoning allows you to run an office from home as well! To continue, this home features large balconies from both the master suit and front bedroom. A modern interior design that offers quality premium options including: Tile throughout the first floor, hardwood throughout the second floor, a custom built open concept modern staircase. The kitchen in this home is spectacular offering granite countertops, in wall built in oven and microwave, separate cooktop and 3 rows of cabinets that allow for tons of storage and LED light under and above cabinets. Also includes beautiful contemporary tiled bathrooms with custom glass tile finish, LED Can lights throughout, 10 foot ceilings on both floors, 8 foot doors, and so much more! Most importantly, you are located in the heart of Downtown Sarasota! 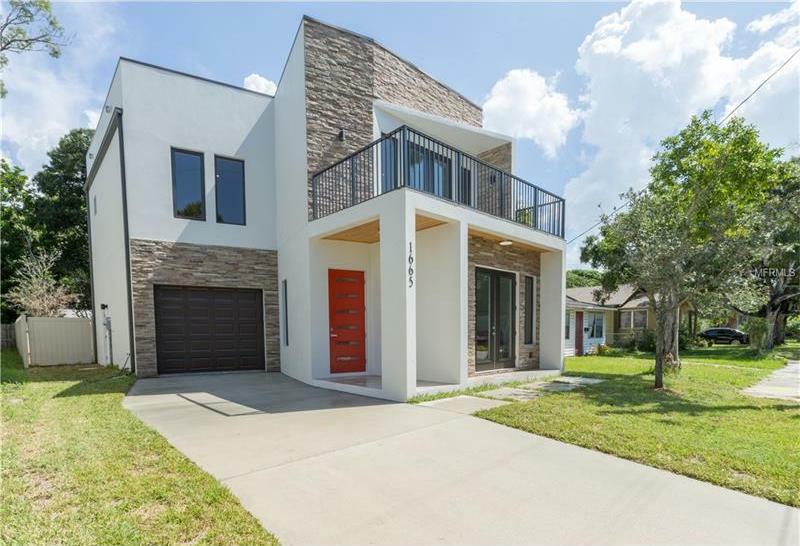 Come see this amazing new home quick and experience one of Downtown Sarasotas best New Construction homes and what it has to offer. Pre-Construction to be built. Another stunning home design by Vision Group and S/A properties... Modern design with all the features you desire. Close to just about everything you can enjoy the city life with all the privacy you need. This is a rare find downtown...oversize lot allows flexibility of construction and provides the perfect city oasis setting for your dream home. We are a custom builder so your vision is our mission. "Pre Construction. To be built." Nestled in the highly desirable Downtown Sarasota next to Burns Court, The Homes of Laurel Park offers a short walk to amazing cuisine, entertainment and culture. Designed by Mark Sultana from DSDG, Inc. architects and built by the award winning Legacy Builders known for their concierge, boutique building style. This two story custom home with elevator and pool includes the finest finishes including quartz countertops, wolf/sub zero appliances, wood flooring, etc. Under Construction - This is a Showcase Home for the Community of Bellora. Can be purchased with or without a leaseback. 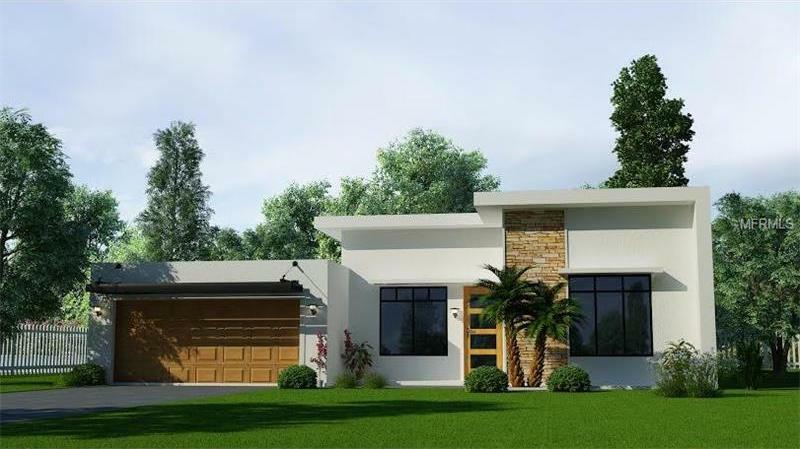 This Modern Style home is being built with the most popular features, Green & Energy Efficient and the latest hurricane protection. It includes a pool with a waterfall. This 23 Home Site community is located in the coveted Ringling Museum area, just off the bayfront. Downtown Sarasota is just minutes away. Also convenient to all of the shopping on University Parkway and the UTC Mall. Launch your kayak less than 2 blocks away at the Charles Heggner Memorial Nature Walk on Bay Shore Rd. Bellora is the only opportunity for a New, Custom Built Home in a deed-restricted neighborhood in the Indian Beach/Sapphire Shores area. Fully Custom Homes by Award Winning Legacy Builders. MODERNIST MASTERPIECE situated on a private 12.18 Acre Country Estate with stunning panoramic vistas. 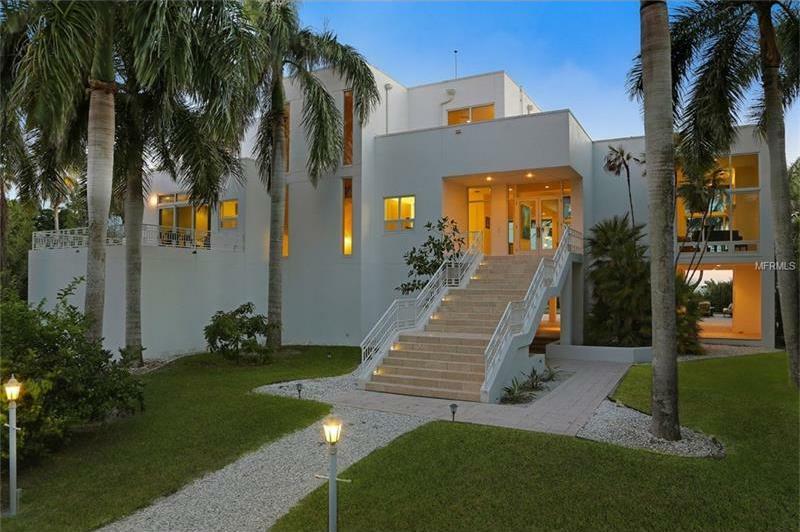 This Architectural beauty has been artfully designed with curved walls; creative volume ceilings; clerestory and ribbon windows creating walls of glass to welcome natural light and outside visuals without sacrificing privacy. At the heart of the home the Gourmet Cook’s kitchen; Formal and informal eating areas; and great room overlooking the expansive covered pool area with summer kitchen is an entertainer’s dream. The enormous Owner’s en-suite with adjoining sitting area with fireplace and upper level library were designed as a quiet escape as you overlook the tranquil screened Zen garden with koi pond. The detached 1,884 sf building makes a perfect Artist’s studio; fitness center; Game room, or guest quarters. For car lovers; there are 6 covered spaces. At the rear of this estate you can enjoy direct access to 28 miles of Saddle Creek equestrian bridle riding trails where you can also take long bike rides and nature walks. This timeless design and unique property will capture your heart. Tucked away behind the gates of Siesta Key's exclusive Sanderling Club, this unique retreat is a tropical oasis with 495’ lagoon. 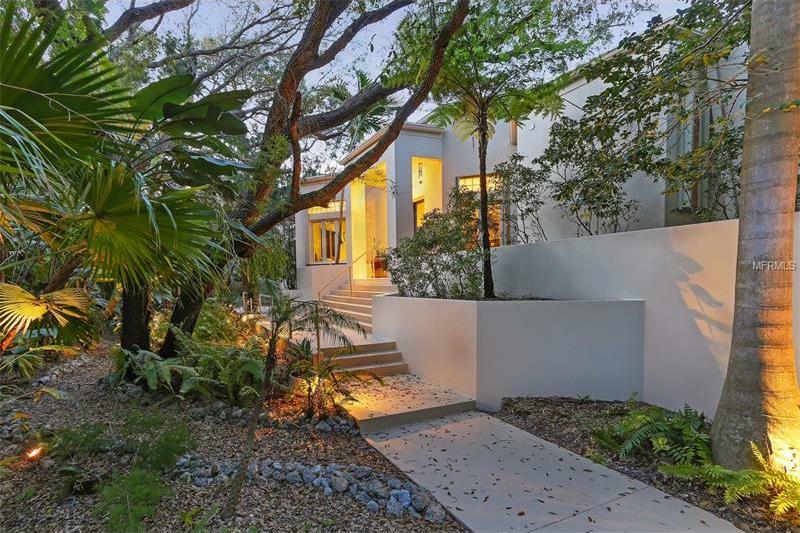 A peaceful & private pathway lined with a canopy of trees leads to this modern residence composed of a renovated 3 bedroom home plus separate studio. Soaring ceilings & water views create a feeling of serenity & privacy, where a host of spaces both open & private are thoughtfully configured. The remodeled island kitchen is equipped with granite countertops, stainless appliances & wood cabinetry. Wood floors throughout all main areas flow beautifully. Privately located, the master suite overlooks the lagoon & features bamboo floors, walk in closets a dressing room & a courtyard garden with outdoor shower. Adjacent to the master are 2 flexible spaces that could serve as sitting rooms, home office, gym or private space for reflection. The separate studio connects to the main home & would be ideal as inlaw/guest suite, caretaker’s quarters or artist’s studio. Enjoy the outdoors from the spacious patio, where a black bottom pool & spa overlook the tranquil lagoon where all is completely private from all neighbors. The gorgeously landscaped grounds include grapefruit, orange, star fruit trees & 6 varieties of clumping bamboo. Additional features include hurricane proofing throughout including garage doors, a new pitched roof in 2012 & more. Sanderling members enjoy deeded beach access, Paul Rudolph designed cabanas on the Gulf, a 15 slip bayside marina, kayak launch & tennis courts. Absolutely stunning work of art! 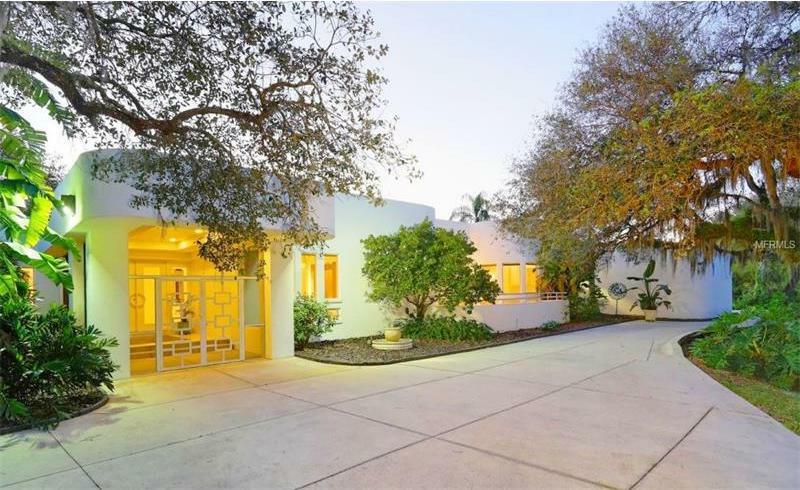 This Sarasota School of Architecture jewel is an original Lido Shores 1950's Modern by Tim Seibert and is listed on Sarasota's historic register. The original home was designed to focus on the pool with poolside elevations that are virtually all glass. 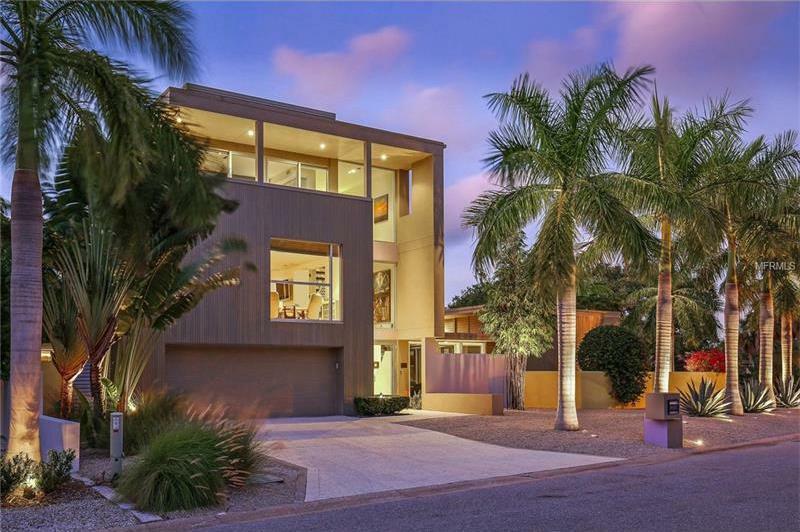 The home was stylishly renovated and joined by an impressive new structure designed by award winning architect Guy Peterson, FAIA in 2005. The addition was artfully designed to complement the historic structure and capture incredible city and bay views from the roof top terrace. The quality of light throughout this residence is quite magical and because of the thoughtful design, you also have wonderful privacy. You will appreciate the impeccable condition of this home both inside and out, enhanced by high end finishes including custom fitted Italian cabinets, state of the art appliances, professionally designed landscaping and landscape lighting and an inviting gas fire-pit. Currently the 4th bedroom is being used as an office. Lido Shores is a wonderful neighborhood with a unique place in architectural history, conveniently close to St. Armands, Longboat Key and downtown. Association membership provides private, deeded access to a beautiful Gulf beach just steps from the drive way. Come and experience this home and you will want to stay forever. PRE CONSTRUCTION - TO BE BUILT Discover the extraordinary oppritunity to own an iconic, custom Gulf-Front home sited on 132.5 ft of secluded beach, on one acre of supreme Siesta Key land. The coveted north end of the Key sets the stage for this sweeping property. The to-be built masterpiece will encompass over 7,263 SF of coast contemporary living, including a 1,200 SF guest house. Western exposure creates spectacular sunset views, for an unforgettable backdrop to your island lifestyle experience. Designed to include upper and lower level swimming pools, an expansive outdoor terrace with fully-equipped kitchen and 5 car garage, the residence will provide every imaginable amenity. The estate offers close proximity to the vibrant arts and culture of downtown Sarasota, as well as the premier shopping and dining on St. Armands Circle. Romantic and supremely private, this magnificent Gulf front residence on a sandy walking beach is nestled on 1.8 acres in Siesta Key’s exclusive Sanderling Club. The property extends to Heron Lagoon, a pristine body of water ideal for fishing, kayaking and bird watching. Constructed to the superlative standard one would expect from the area’s preeminent builder, Michael Walker, astonishing Gulf of Mexico views unite with extraordinary quality throughout. A spacious, airy and open design echoes the panoramic setting and lends itself to casual living. Signature floor-to-ceiling glass, a three-stop elevator, sleek and functional Neff kitchen, lavish Jerusalem marble floors and vast open terraces from each room create a discreetly luxurious living experience. The entire second level is dedicated to the master suite, where simply spectacular views enhance the gracious sitting area, sleeping quarters and private terrace. Outdoor living is equally special, with a beachfront pool and spa as the centerpiece. The only guard-gated single family community on Siesta Key, Sanderling is an historic club with a 24-hour guarded gate, tennis courts, clubhouse and beach cabanas designed by Paul Rudolph and access to Bay. The exclusive community is ideally located near Siesta Key’s south bridge, for quick access to downtown Sarasota's multitude of dining, cultural and shopping opportunities.